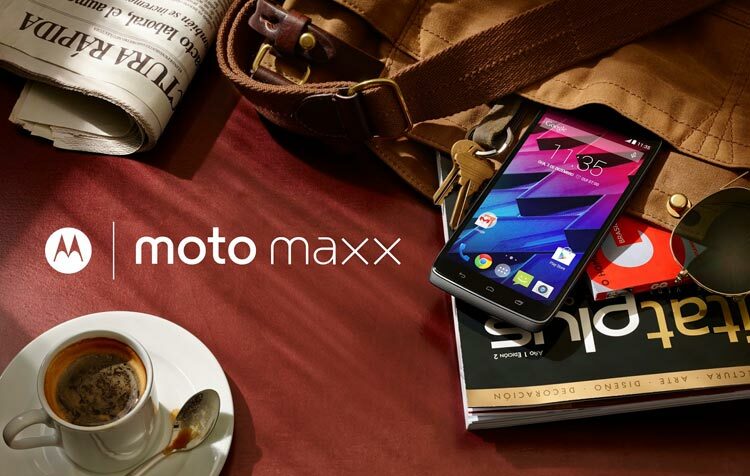 Motorola has finally launched the Moto Maxx smartphone on Wednesday, the global variant of the recently-launched Droid Turbo that is exclusively sold on US mobile carrier Verizon. It has the same 5.2 (1440×2560 pixels) QHD display with Corning Gorilla Glass 3 protection, Android 4.4 KitKat OS, 2.7GHz quad-core Qualcomm Snapdragon 805 processor, 21-megapixel rear camera with dual LED flash which supports 4K video recording and a 2-megapixel front-facing camera. It is paired with 3GB RAM, 64GB internal storage and packs a 3900mAh battery which promises up to 48h of battery life with mixed use. It has also Motorola Turbo Charger features which offers eight hours of power in a quick 15 minute charge. The Motorola Moto Maxx comes in Black Ballistic Nylon version and is priced at 2199 Brazilian Real ( US$ 878 approx) in Brazil. Brazilian fans can but it from the official website and would be available in Mexico mid-November. Motorola has announced that it would launch the smartphone in Latin American countries soon.